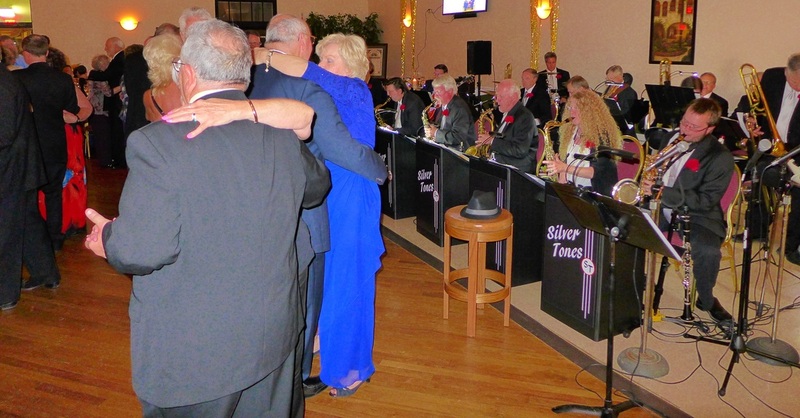 The Silver Tones Swing Band is available to play for your party, dance, wedding, anniversary, or other special event. We're reasonably priced, offering fabulous quality within the budgets of everyday people. It's our mission to bring live swing music to a wide audience. See what our patrons have to say about our band in Testimonials. The vocal trio is also available separately for smaller parties or if you'd like to treat a loved one to a personal show of great Andrews Sisters' music. You can reach the Silver Tones Swing Band at silver.tones@yahoo.com.